The Ariel AG Series has a pedigree like no other when it comes to backpacking, thru-hikes and alpine expeditions. Osprey has set the bar for technical backpacking packs by combining their unique anti-gravity suspension system that provides a customizable fit with lots of innovative features such as the convertible top lid. 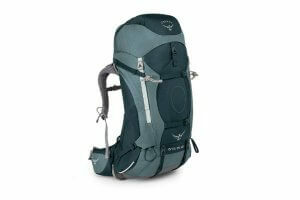 These features give Osprey backpacks an edge for long haul load carrying on multi-day excursions. 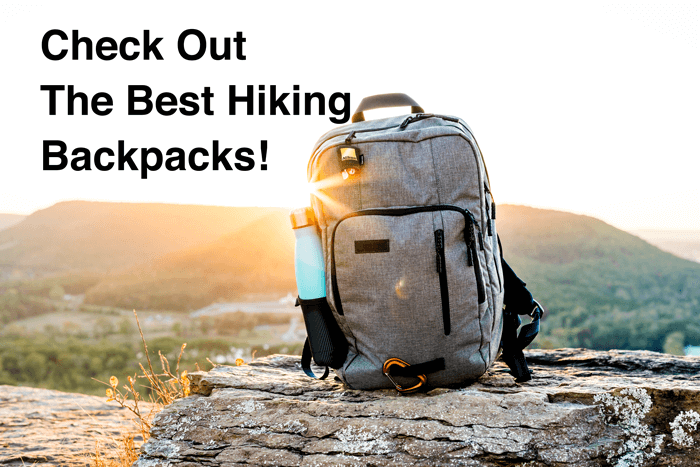 So in case you’re looking to get yourself a hiking backpack to take on your next adventure, you should definitely check out the Osprey Ariel 55 Backpack. This pack is especially great for women thanks to the smaller frame. However, it can be used by everyone. Osprey is arguably the most reputed brand for hiking backpacks all over the globe. With over 40 years of experience in the business, Osprey is able to deliver some of the best quality backpacks that boast of unique and innovative features. Every backpack by Osprey is put through intense testing and scrutiny before being handed over to the customers. The Ariel AG 55 backpack is an upgraded version of the Ariel 55 backpack and features the new Anti-Gravity System which makes backpacking more comfortable than ever before. Thinking Osprey? … Get it on sale here. The Ariel AG 55 is one of the three different packs in the whole Ariel Series. This particular pack comes in three different sizes – 49L, 52L and a 55L backpack and so you can choose one based on your requirements and body length. The torso length of the pack is adjustable and you can even choose between 4 different sizes of the harness and the hip belt. This highly customizable backpack gives you a fit that is made for your body. Apart from the various sizes, the superb suspension system featured in the backpack makes it even more comfortable. The suspension system of the Ariel AG 55 is based on a frame made of a LightWIre Peripheral Aluminum alloy structure combined with a ventral stay. The Anti-Gravity system featured in this particular backpack is quite different from the Atmos and Aura series of backpacks. The hip belt in this pack has custom heat molding which lets the pack mold naturally with your body heat to fit your hips perfectly. Same applies with the harness of the backpack which is both moldable and interchangeable. This upgraded model is highly suitable for hiking in hot weather thanks to the brilliant ventilation provided by it. The backpack has a heavily padded hip belt and shoulder straps which scores a high when it comes to comfort. It features an Airscape back panel and has a slight curve on its backside which creates space for ventilation. The Ariel AG excels when it comes to packing in heavy loads. When tested at weights ranging from 25-45 pounds, this backpack performed brilliantly and in fact hot more comfortable as the weigh was increased. This is made possible thanks to the numerous adjustment points which let you have a custom fit for your body type. What makes the Ariel AG 55 stand apart from the other backpacks in the range is its ease of use. This is a fairly simple backpack that simultaneously offers you great features. It features the signature Stow-on-the-go feature of Osprey which lets you quickly stow your trekking poles and carry them around. This make is ideal for trekking in alpine terrain. The backpack also has an external hydration sleeve in the back panel which makes it simpler to refill the pack and protects the contents of the pack at the same time. The Ariel AG 55 is a top loading type backpack and thus you get a removable lid and collar. However, you also get an extra zippered access to the main compartment to the left of the backpack. You also get a sleeping bag compartment with the on the bottom access of the pack and three separate stretch mesh pockets where you can stuff water bottles. A J-Zip in the front provides quick access to the main compartment of the pack. Made of 210D nylon / 750D stretch ripstop nylon, the pack is highly durable and sturdy. The build quality of the pack is superb and just one look at it will tell you enough about its strength. The pack is however a bit on the heavier side, weighing at around 4.5 pounds. This extra weight however is negligible and the excellent suspension system will negate the effects of the weight almost entirely. Overall, the Osprey Ariel AG 55L is a durable backpack for women and offers excellent comfort stability and has a wide range of convenient features. You can easily store enough gear and necessities in this pack to last you a ten days adventure. This is a highly recommended women’s specific backpack and if you’re a woman who loves to enjoy the thrills of nature, this is the right backpack for you.